“Farewell Angelina” is a song written by Bob Dylan in the mid-1960s, and recorded by Joan Baez. Dylan attempted to record “Farewell Angelina” only once, during the first session for his 1965 album Bringing it All Back Home, and he abandoned all attempts to record the song again. Dylan’s one recording of the song was eventually issued in 1991 on The Bootleg Series Volumes 1–3 (Rare & Unreleased) 1961–1991. Joan Baez included this song on her 1965 album Farewell Angelina. In the UK the song was issued at the same time as a single. Baez’s version, though only about half as long as Dylan’s recording, was very similar in structure and showed her moving away from pure folk music with the use of string bass accompaniment. I love the “Appalachian feel” that Baez evokes in her interpretation. 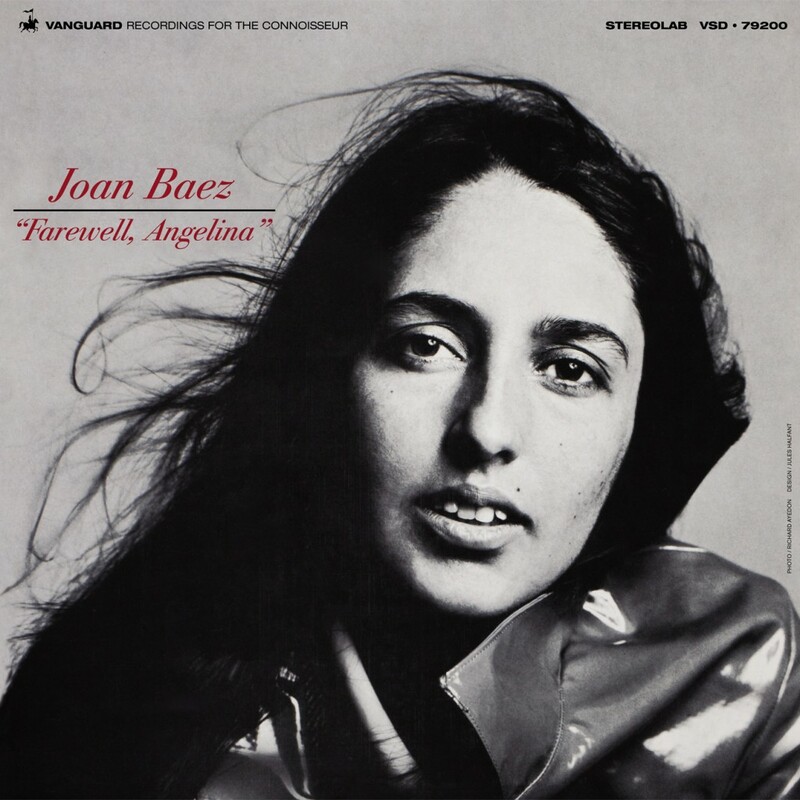 The album, Farewell Angelina, represented a further shift from the strictly traditional folk music with which Baez had begun her career in that, for the first time, she included electric backup in the form of Bruce Langhorne’s electric guitar (which was nonetheless subtle). Additional musicians included Russ Savakus (bass) and Ralph Rinzler (mandolin). The album included four Bob Dylan tunes, including the title song and “A Hard Rain’s A-Gonna Fall”, as well as a German reading of “Where Have All the Flowers Gone”. The fantastic cover photo was taken by Richard Avedon. In the UK, Farewell Angelina, the song was issued as a single on Fontana Records. The 2002 reissue of the album by Vanguard features three previously unreleased additional tracks from the Farewell, Angelina sessions: “One Too Many Mornings”, “Rock, Salt, And Nails”, and “The Water Is Wide”. 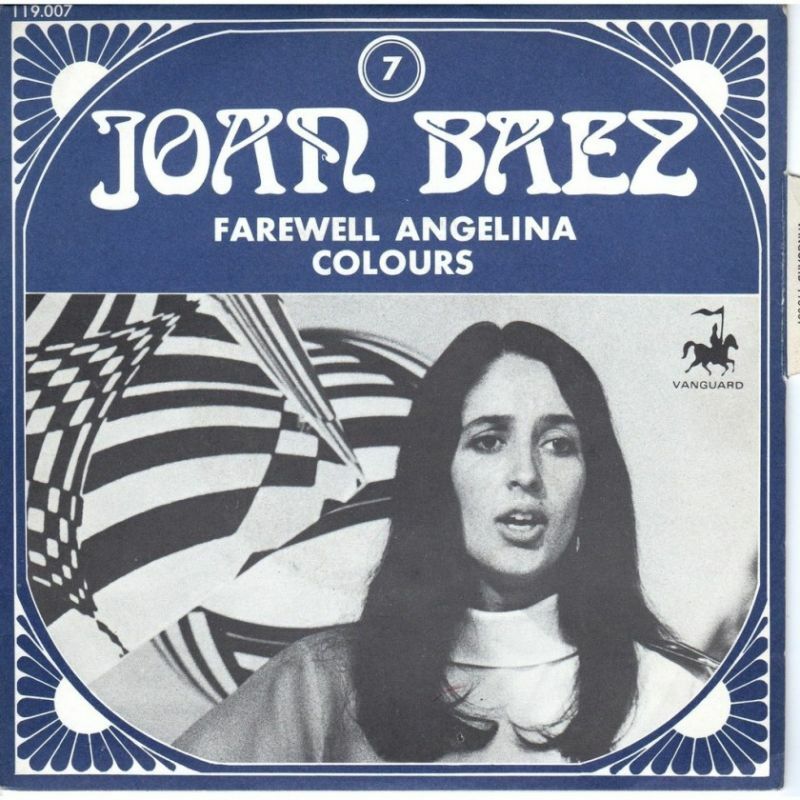 In more recent times “Farewell Angelina” has remained a continuous part of Joan Baez’ concert repertoire, being recorded twice for live albums during the 1980s. There have been a certain number of songs that Dylan wrote and composed during the early, most creative years of second-half of 1960s that were most suitable for his partner of the time. “Farewell Angelina” was definitely one of them. Joan Baez sings these songs as if only she could sing them ( in fact, she still continues to do so to some extent ). Of course, nobody sings a Dylan like a Dylan ! But honestly, can you imagine him ever doing “Love is just a four-letter word” ? Also this one is perhaps better left to Joan Baez.